The guidelines for cloud compliance keep changing. With ever visible headlines in news media about the issues the enterprises are facing today with enterprise cloud security in the light of PRISM and then an increasing number of new security vendors offering different cloud security solutions, enterprise cloud security could really be a very tough battle to beat. Also, with enterprises too seeing it in this perspective, and with increasing data safety issues, numerous firms see the potential solution in the form of halting their cloud adoption totally. But, with expert assistance from enterprise cloud security experts, many enterprises, especially those that are heavily-regulated, have easily sailed through all tough tide by securing their cloud-based working environments in a much better way than before. With the emergence of cloud working environments, which have been adopted universally, enterprise architecture has changed drastically and there has been a paradigm shift in the work structures of organizations, which are very different from the conventional work models. Cloud computing work environments are very different and much more flexible than their traditional counterparts, but enterprise security issues continue to halt such enterprise cloud adoption. 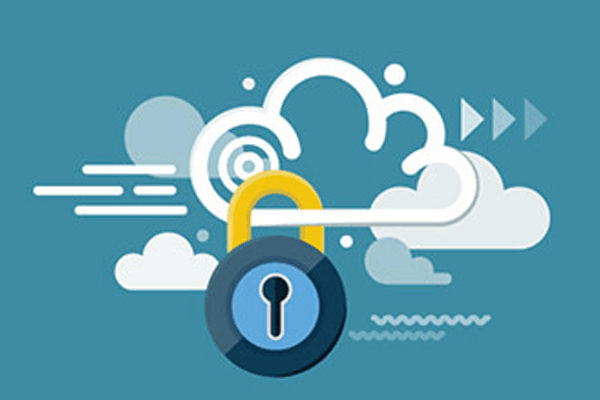 Even though cloud is omnipresent and its prevalence is increasing greatly in most of the IT departments worldwide, still many of the companies still worry about enterprise data security. This doubt and fear are not only bounded to small cloud providers or to may be the lesser-known ones, but many firms are also concerned about some services, and this fear has resided massively in the market of cloud services since the time of its inception. Also with many such events where security issues are brought to light like the recent NSA’s PRISM one, worries about enterprise cloud security have really taken a turn surely for worse. Some cloud security experts, however, are claiming that such events would only augment cloud data security levels, as many vendors would then aim to provide the client-companies with whatever they need. Let us now discuss the best cloud security practices as well as the best tools that can secure cloud working environments. With private clouds, public clouds and hybrid clouds, along with BYOD or bring-your-own-device; added with open-source clouds, enterprise security could be very tough to achieve even after following the best of the security practices. Additionally, cloud security vendors have been ever adding their security tools increasingly as well as improving their services, with Security-as-a-Service, for assisting the current companies with the protection of their cloud working models. However, some options would only add up to this confusion. Such tips, as well as features coming from the desk of cloud experts, can help firms walk through the options available to them. Aligned with compliance, there surely are some benchmarked security standards in the cloud working system. Companies, particularly those that are heavily regulated, should definitely align with these guidelines for cloud compliance. Mostly, the financial sector, healthcare enterprises, as well as government industries, have to really pay vigilant attention towards changing their working systems and IT environments, and also at times, it could really be tough to say if this responsibility is lying with cloud providers or enterprises. Enterprise cloud security experts can really assist in sorting through these guidelines and giving discreet steps about how to practice compliance. Enterprise cloud security can be achieved by overcoming all the hurdles in the path and the best guide can be the CASB vendor offering related solutions.